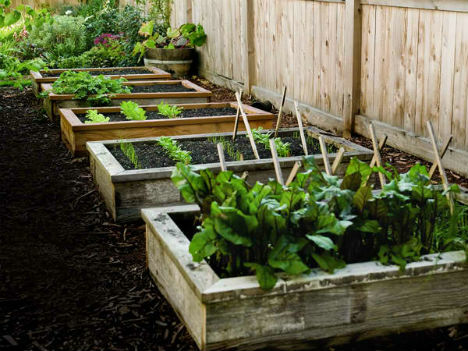 Raised garden beds organize your planting areas, making them easier to manage and more convenient to maintain. 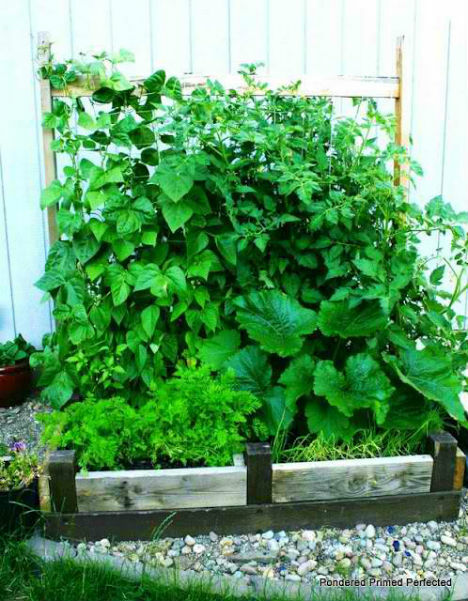 Sidestepping potential issues with soil quality, reducing pest problems and virtually eliminating the need to weed, raised beds are an ideal way to grow herbs, vegetables or ornamental plants. 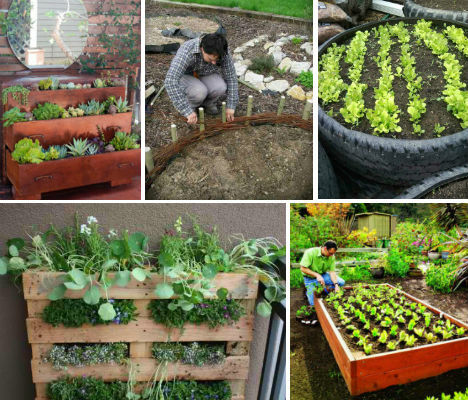 Here are 13 great DIY garden bed ideas and tutorials, many of which reclaim materials like pallets, bed frames and water troughs. 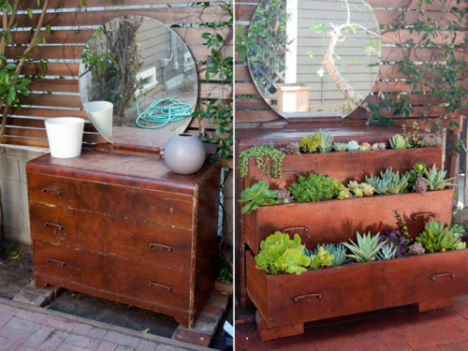 Turn an old dresser into a tiered vertical garden! This project could be as simple as placing potted plants inside the drawers, or you could staple landscape fabric to the inside and fill them with soil. Be sure to use a dresser made of solid wood rather than particle board, if it will be exposed to the elements. A slightly more complex design from Popular Mechanics adds a ‘cap railing’ to the top of the bed to make it look more finished and offer a place to set tools when you’re not using them. 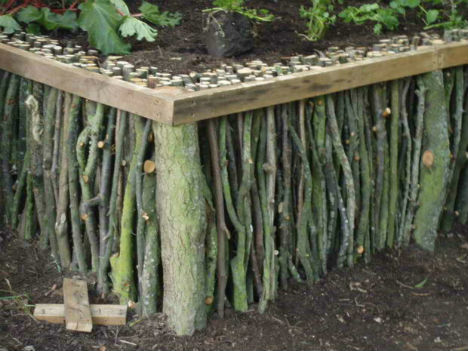 Make your own self-watering ‘salad table!’ Three durable bins are placed in a wooden frame. Smaller plastic baskets fitted with PVC pipes are placed upside-down inside the larger bins, and the whole thing is filled with soil. Salad tables lift these vulnerable greens up off the ground to reduce pest problems and make them easier to access. Line the inside of a reclaimed pallet with landscape fabric, fill it with soil, plant it with the herbs, veggies or flowers of your choice and lean it up against a wall. 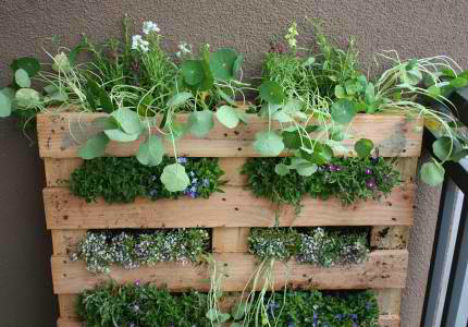 This vertical garden is quick, simple and inexpensive with beautiful results; get the tutorial at Life on the Balcony. 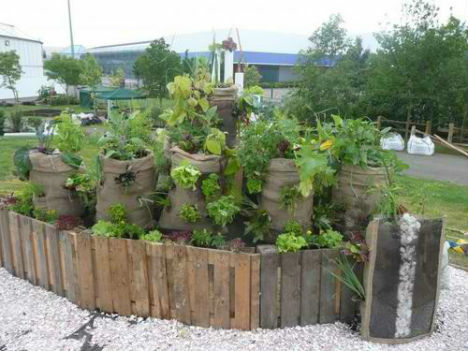 Another pallet garden concept reuses boards from old pallets – without having to pull any nails. Cutting the boards off each side of the support beams produces a nice pile of lumber for creating a totally free planter box. 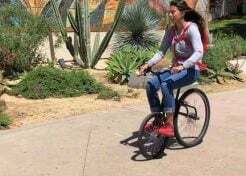 Learn more at Instructables. A bed frame offers an ideal support for climbing vines in this brilliant repurposing project by Pondered, Primed and Perfected. The base of the bed was turned upside down and filled with soil to create the main part of the new raised garden. While the raised part isn’t actually from the headboard of the bed, it’s easy to see how virtually any bed frame could work – think about how beautiful brass or wrought iron would be with cucumber vines trailing all over it. 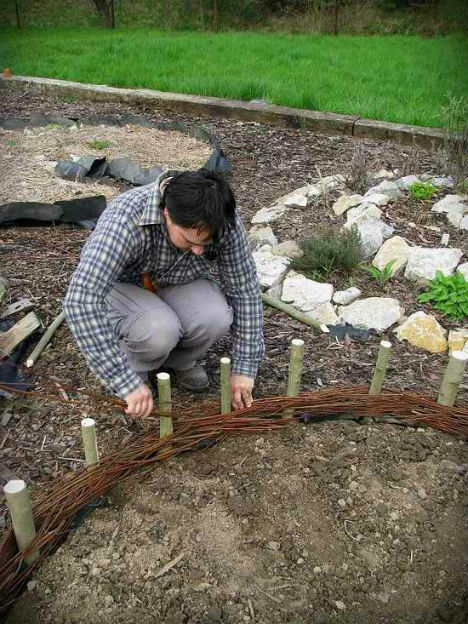 In this simple project, branches are woven around stakes to create a beautiful and durable border for a raised garden bed. 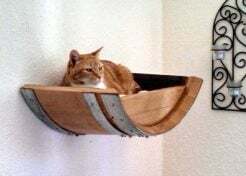 Get basic instructions for this project at eHow (image via roumen). 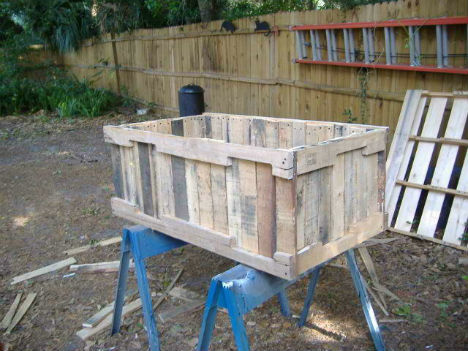 Another DIY raised garden bed idea using free, natural materials that you can gather in your backyard is this one from Instructables. It costs almost nothing at all, and the result is stunning. 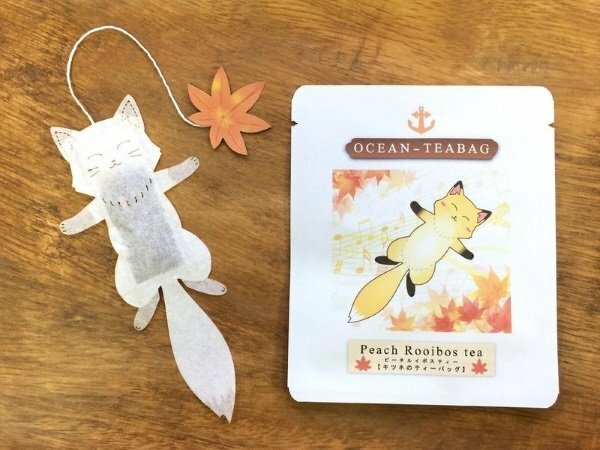 Did you know that you can plant directly into sacks of all varieties? Burlap sacks, as pictured, work great, but you can even plant directly into bags of soil from the nursery. 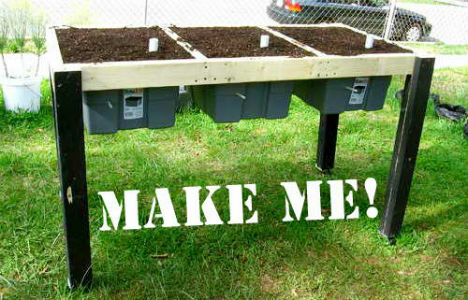 Make this concept even more convenient by placing the bags inside raised beds or on a table, like that used for the salad table concept. 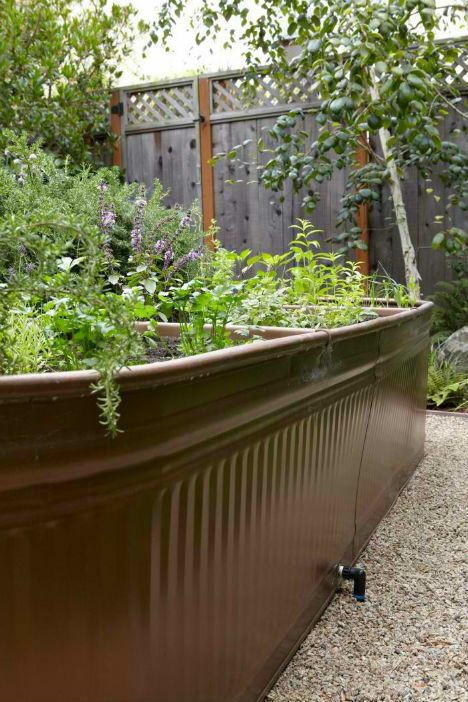 Water troughs from farm supply stores make attractive extra-large containers for gardens, and the metal kinds can be painted any color you like. Rather than buying these new, watch the classifieds or put out your own ad looking for used water troughs that have sprung leaks and are no longer usable as intended. While there have been some debates about whether used tires are safe to use for planting edibles, many people feel that it’s most likely safe. You can always line the inside with layers of landscape fabric just to be sure. 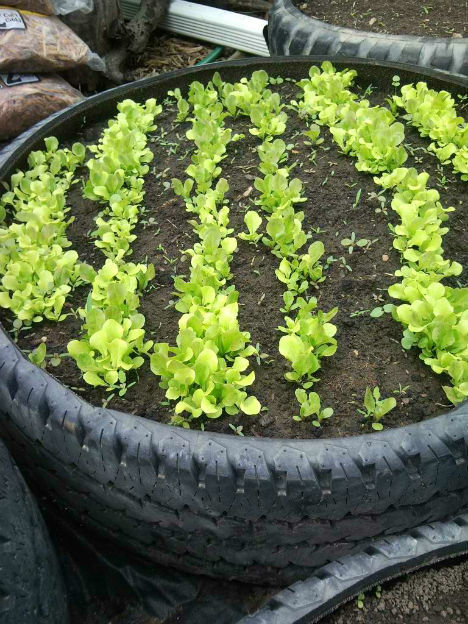 Get instructions for turning old tires into raised gardens at Instructables. 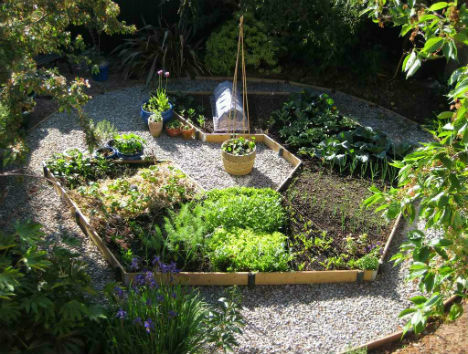 Here’s a raised garden that’s been arranged in a geometric shape, not just for looks, but for function. 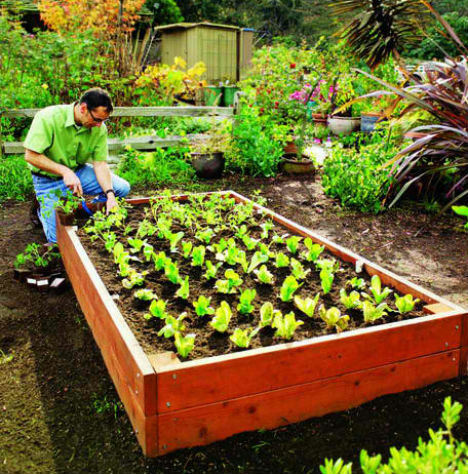 The compact rotational garden utilizes a small space efficiently while maintaining easy access to each section. 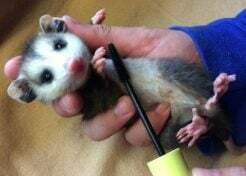 Learn more at Instructables.